The mobile apps business reminds me of a child prodigy. On the one hand, we see the potential to do amazing things. On the other hand, kids are kids, and even tremendous young talent can make their parents want to pull their hair out from time to time. So it is with mobile. Customers increasingly download and use apps to perform both existing tasks that once required a lot more effort to complete – finding a new restaurant you can trust, for example – and all-new jobs, such as taking photos and videos and sharing them with friends via Facebook, YouTube, and Vimeo. Time spent with mobile devices is rapidly increasing. In turn, advertisers now see mobile as an essential marketing channel. It’s therefore not a surprise that mobile has emerged as the next phase of our digital evolution. Going mobile is not for the risk averse, however. As a result of its relative youth, it confronts users, developers, and publishers with all sorts of potholes and speed bumps. For example, just as a VHS tape wouldn’t work in a Betamax machine, and a video game for PlayStation won’t operate if you put it in an Xbox, most apps built for one phone won’t work on any other phone without substantial rework. Similarly, if you happen to own an Android-based smartphone and want an app that happens to be available only for Windows Phone, you won’t be able to download it because your phone won’t have access to Microsoft’s app store. We can see the results of these obstacles in how infrequently most apps get downloaded and used. While we in the mobile industry must and will continue to improve the ways customers find, pay for, download and use apps, here are some things you can do today to make it easier for people to find your apps. Ensure search engines have found your app: If you have published an app, try finding it with all the major search engines. Make sure you complete this experiment on mobile devices and computers alike. Do you see your app on the first page of results? If not, ensure your website includes content about your app and has been properly optimized for search. Search engine optimization, or SEO, has many professional practitioners, but you may not need an agency. Do-it-yourself types can accomplish a lot on their own with a little homework and creativity. Increase the number of access points to your app: Go back to the web page that features your app and make sure it includes a link to the app’s location in the relevant app store. This is called deep linking. Since most app stores now enable web users to trigger a download from the stores’ websites directly to a user’s phone, deep linking can make it easier for a customer who might not otherwise know you even have an app to get it in just a few simple steps. Go social: Chances are that your company’s marketing budgets focuses largely on persuading people who don’t yet have your product to become your customers. Social communities have exactly the opposite dynamic; they tend to be comprised mostly of loyal users. Since getting existing customers to buy more is easier than acquiring a new customer, enrich your social presence with content about your app. Since most people in your social community have already bought into your marketing, switch your tactics away from anything that could be construed as advertising toward story telling. For example, show how actual users are benefiting from your app by inviting them to share their experiences. Offer tips, including screenshots and videos that show how customers can benefit from using your app. Gather customer feedback and ensure that you have a plan to incorporate that feedback into future releases. Mention your app in all your marketing: These days, many customers expect your company to have a mobile app just as instinctively as they would expect you to have a website. Including a mention of your app(s) in your marketing, therefore, can let prospective buyers know that you will be there when and where they need you. Try new technologies: Some of you may have noticed quick response, or QR, codes that accompany some print stories and advertisements. Smartphone owners can use QR code scanners, many of which are available for free from the major app stores, to hover their phone’s camera over the code. The scanner then recognizes the image as a link to anything on the web, including your app’s place in a store. 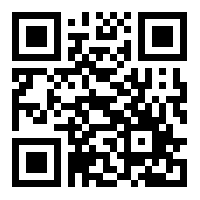 To show you what a QR code looks like, I’ve attached one that links to my blog. Getting your own QR code is easy; many websites offer to build them for free. You also may have heard of a technology called “NFC,” which stands for near-field communication. It works by sending electronic signals over very short distances. For example, a user with an NFC-enabled smartphone can place the backside of his phone against the backside of another NFC-enabled phone to share a photo or video. Some companies are using this technology to promote and distribute their apps by posting NFC-enabled stickers in places customers are likely to be and inviting them to tap the sticker with their phones to get an app. QR codes and NFC stickers produce data marketers can use to optimize performance, too. While none of these tips represents a silver bullet, they each represent relatively future-proof ways to make it easier for customers to find your app even as the mobile industry continues to evolve.